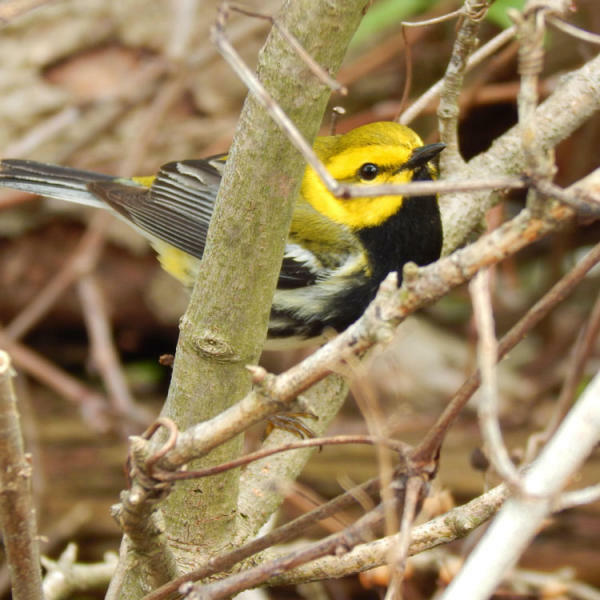 A Black-throated green warbler in a photo taken on the Magee Marsh Wildlife Area boardwalk during the Biggest Week in American Birding by Kristina Smith of Fremont, Ohio. Birds of a feather stick together. Well what about birds and a Siberian Husky sticking together? 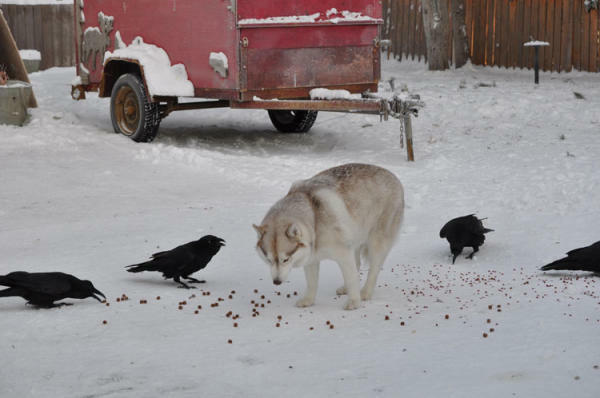 As seen daily in the back yard of Murray Martin in Whitehorse, Yukon Territory Canada every day as food is put out for the Ravens. If Avalanche is in the way, ravens just pecks her tail to move her.